Investing in popsicle molds was the best idea of this summer! We used to have some when I was little, filling them with orange juice or yoghurt but it wasn´t until I bought some for myself that I realized just how much fun you can have with them. 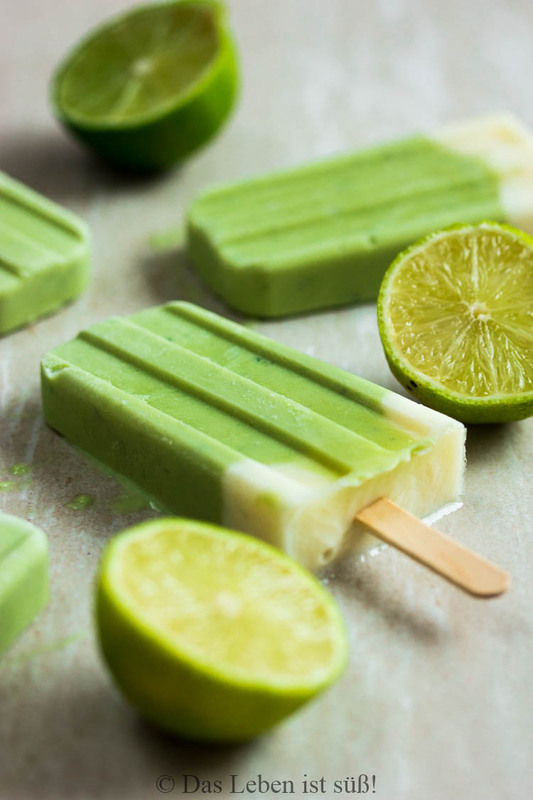 There are so many different ways and flavors, it´s awesome. 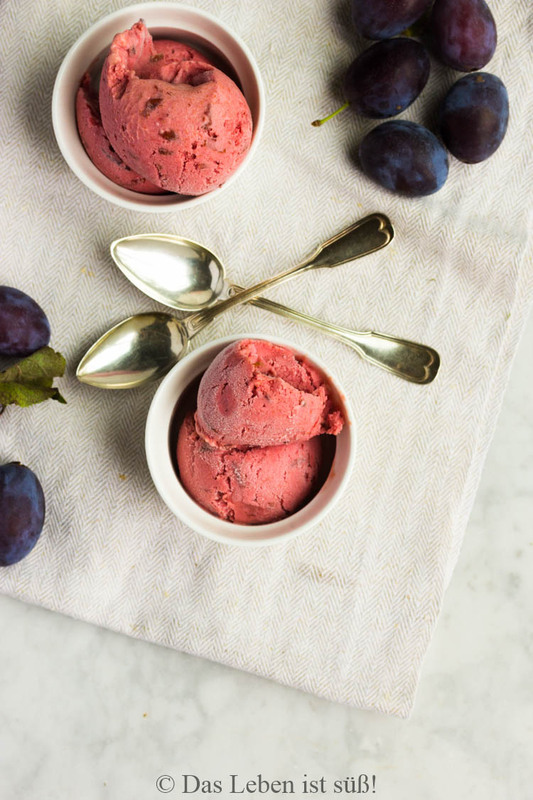 The only problem I am having is that my craving for new recipes kind of contradicts with the amount of ice cream one can eat. My freezer is full but I still have so many ideas. Yeah, the life of a foodblogger, it´s tough. I told you, we are going to need the strawberry syrup again. 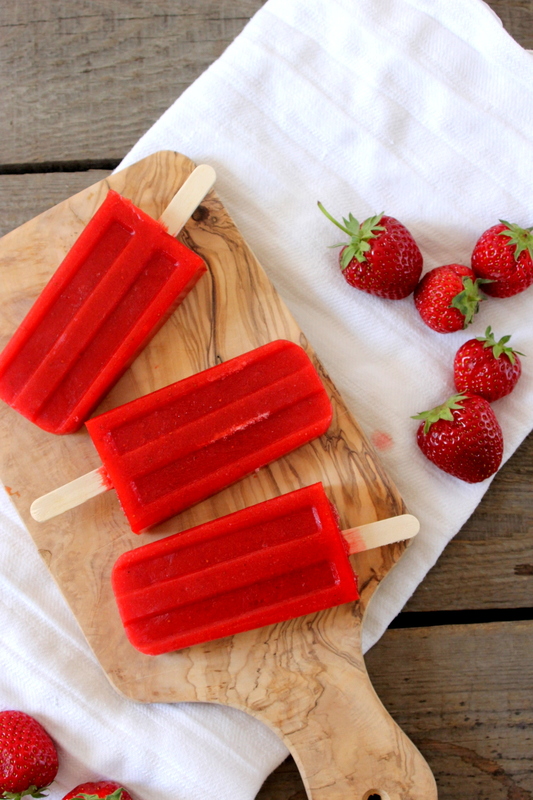 It is the not-so-secret-ingredient for these strawberry popsicles! 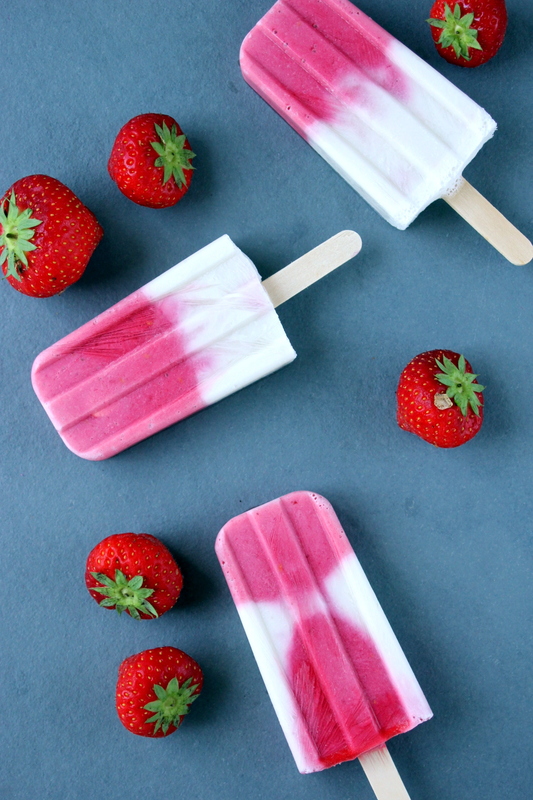 Just two ingredients, strawberries and syrup, is all you need for this quick and easy recipe! 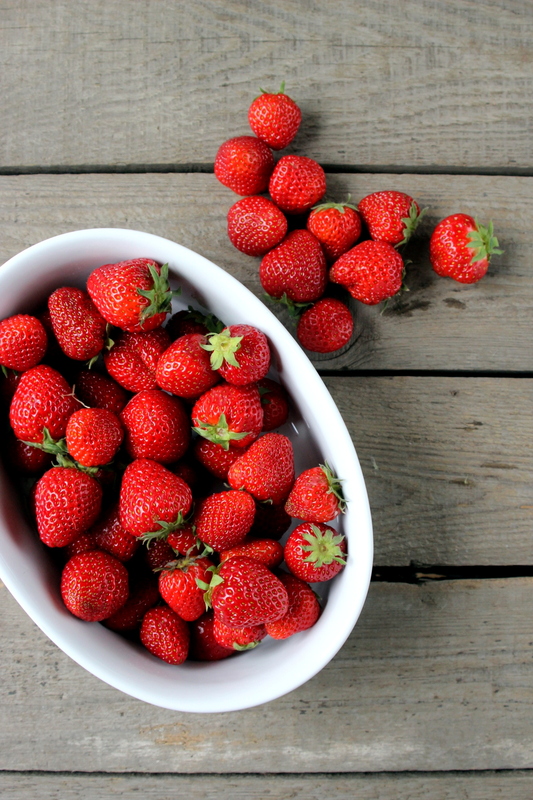 The summer fruit season is beginning and that means that strawberries are getting cheaper and more delicious each day. I love it! Of course I couldn’t say no, when I saw these babies at the farmers market. They looked so tiny and cute and tempting. 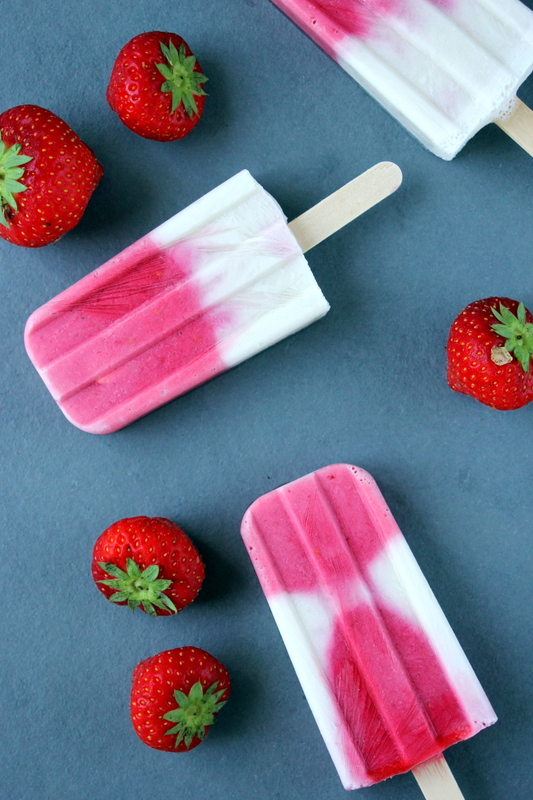 So I bought a whole batch, went home and made some popsicles. And now my freezer is full of them. Good thing we are getting up to 30°C this weekend, I don´t think they will last very long to be honest.